Do you remember that time that you helped my daughter win an ugly sweater contest so she could get free braces? Don't remember? Well, you did. I did some follow up posts for a while but I wanted to share one more. Jet's braces came off in November and Bug's came off last week. So, I thought it was only fitting to share a brief little look at what you helped us do. And, I just need to give another shout out to Ward Orthodontics. Dr. Ward and staff did a fabulous job and we are very grateful for their mad skills and welcoming office environment. If you are in Fort Collins and need an orthodontist, look him up! Yes I do remember. What beautiful young ladies you have! I remember too! Beautiful girls with beautiful smiles! I remember! They are beautiful girls and those smiles are gorgeous! I'm so happy for them. Beautiful smiles! I remember. And the results are 2 beautiful young ladies. I remember the contest and appreciate the update - what beautiful smiles and what beautiful girls. You are a blessed family!! They look so beautiful. I too remember the contest such a great Mom they have! I was so excited when she won. Man time flies. They are just beautiful. 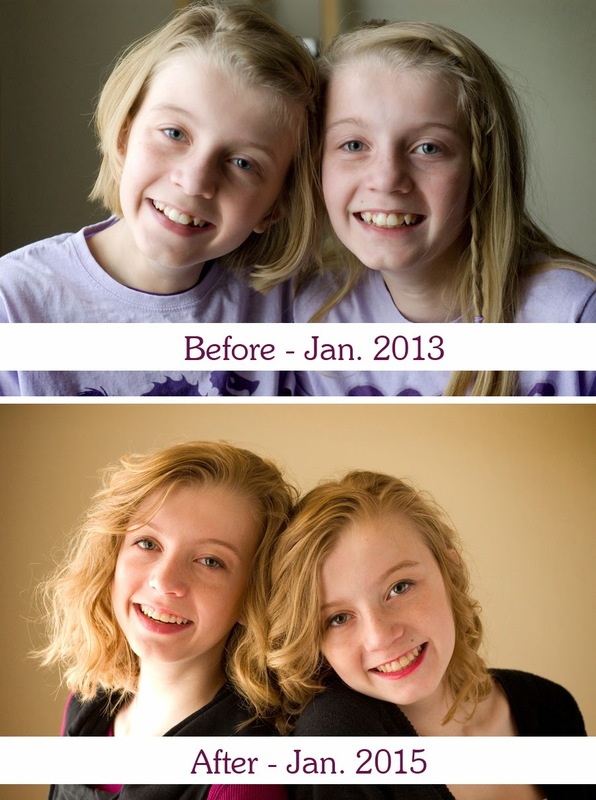 Isn't it fun to see the before and after of braces. The change in my daughters smile and confidence was night and day. Thank you for showing their progress.